The New York attorney general’s wage-theft suit could pave the way for unionizing workplaces across different owner-operators. It might become the biggest tip in the history of New York pizza: a lawsuit cracking down on one of the country’s fast-food giants, linking its chain-business model to three franchise bosses charged with collectively owing workers more than half a million dollars in stolen wages. According to a lawsuit filed by New York Attorney General Eric Schneiderman’s office last week, the Domino’s pizza empire and its franchise operators share the blame for years of cheating workers out of tipped wages and overtime pay. Both the parent company and the franchise operators are targeted as joint employers, charged with failing to adhere to wage-and-hour laws for workers. 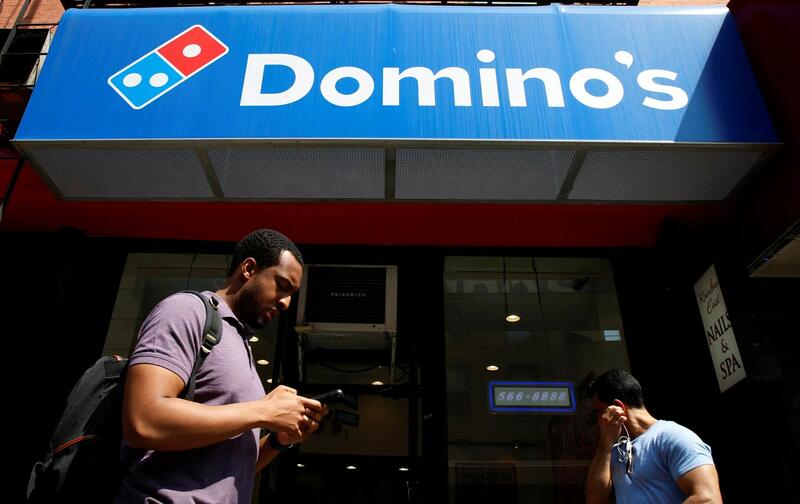 While wage theft is rampant throughout the restaurant business, the lawsuit alleges that the proprietary payroll software system Domino’s uses in its franchises is rigged to encourage cheating workers by design. A multi-year investigation has traced a digital paper trail from each pizza shop straight up to corporate headquarters. By showing how Domino’s “micromanaged” franchisees, the attorney general seeks to establish a line of liability for Domino’s as a joint employer, effectively sharing administrative responsibility with multiple franchisees. Labor advocates have applied the same the legal rationale in the ongoing litigation against McDonald’s before the National Labor Relations Board, which seeks to hold the company liable as a joint employer for retaliating against workers for their labor campaigning. The case could pave the way for unionizing workplaces across different owner-operators. According to the attorney general’s lawsuit, the company’s business model not only keeps the workforce divided but also pressures managers to actively suppress organizing. When franchisees report union activity to the company, Domino’s imposes its own view of management-employee relations on its franchisees by providing “union avoidance” literature to the franchisees and has sent Domino’s officials on site to thwart any such organizing campaign. The attorney general has waged several legal challenges against fast-food outlets known for flouting wage-and-hour laws, including McDonald’s and Papa John’s, and has previously settled similar litigation against other Domino’s franchise operators. Presumably, Domino’s may face other lawsuits in the future as a joint employer, brought by individual workers, particularly since the company uses the PULSE system in many franchise outlets. So the franchise structure is the perfect recipe for diluting accountability across a vast network of operators. But why does Domino’s display so much more “brand integrity” when it comes to boosting revenue but not when complying with wage-and-hour laws? When a multinational corporation can establish monitoring systems to track sales and delivery speeds at every outlet and to ensure that every pizza tastes uniformly generic, all while keeping every workplace union-free—why can’t it ensure each of its shops consistently uphold labor standards?